I N D I V I D U A L I T Y: My first photo shooting as art director, stylist, and model, woohoo! My first photo shooting as art director, stylist, and model, woohoo! I just finished taking a shower and now sitting down in front of my labtop after a great photo shoot! It is so nice to finally work with a Hong Kong local fashion brand, 2% Two Percent! Thank you so much to Jan for this amazing opportunity. My first time doing three jobs in one time! I am the art director plus stylist plus model, crazy haha! I was a bit worried before the photo shoot, however, everything turned out amazing! Thank you so much to everyone at the shoot! You guys prepare some really nice props! 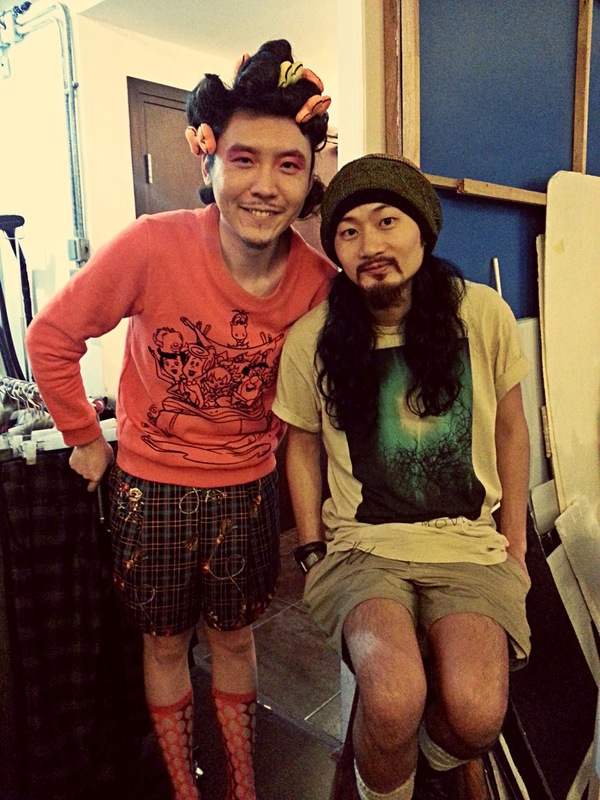 Moreover, I am so happy I can finally work with Bluedy Wong from Hair Culture, TST! I've been going to Bluedy to get my haircut for about 9 years, and I finally have a job that gives me 100% creative freedom and be able to afford to hire him, do you guys know how amazing this feeling is?????? I AM SO GRATEFUL! And once again, thank you so much to JAN!!!! I can't wait to see the photos, should be out by September!